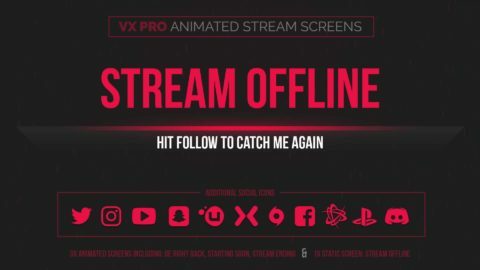 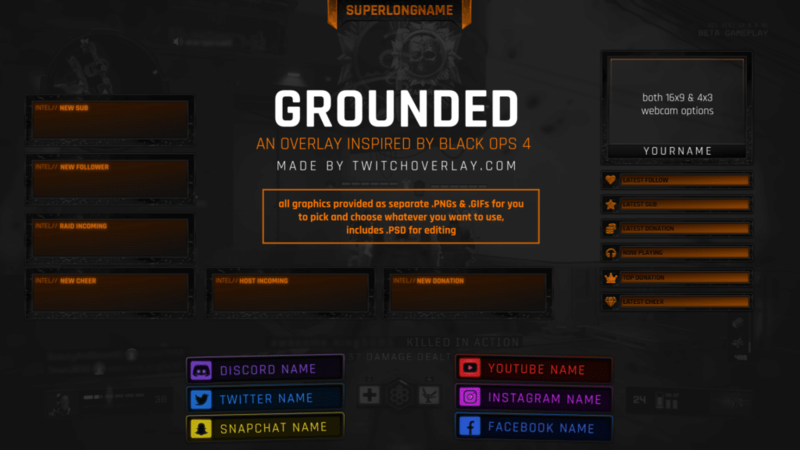 Grounded is a Call of Duty: Black Ops 4 twitch overlay designed around the UI and general feel of the Black Ops franchise, taking specific cues from Blops 4. 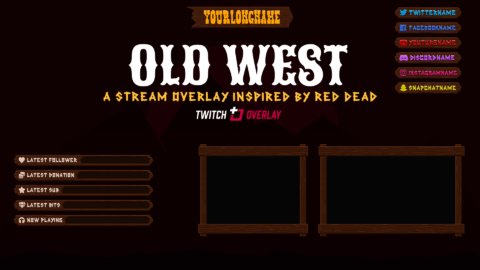 It includes a number of graphics, all provided separately so you can arrange and use whatever you need, while leaving out the bits you don’t. 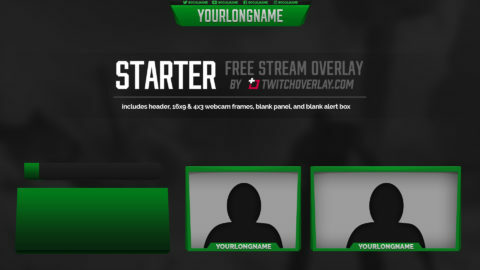 Included in this download is a header, 2x webcam options (for people with 4:3 and 16:9 cams) that feature the ability to include/exclude your name or details within the frame, 6x animated alerts (animations are demonstrated below, although will be provided in higher quality/larger size), 6x stream info panels to show off details about your visitors, 6x social panels designed to fit in line with the bottom health and ammo UI elements, and a .PSD file for you to make your own edits to the text included in the design.